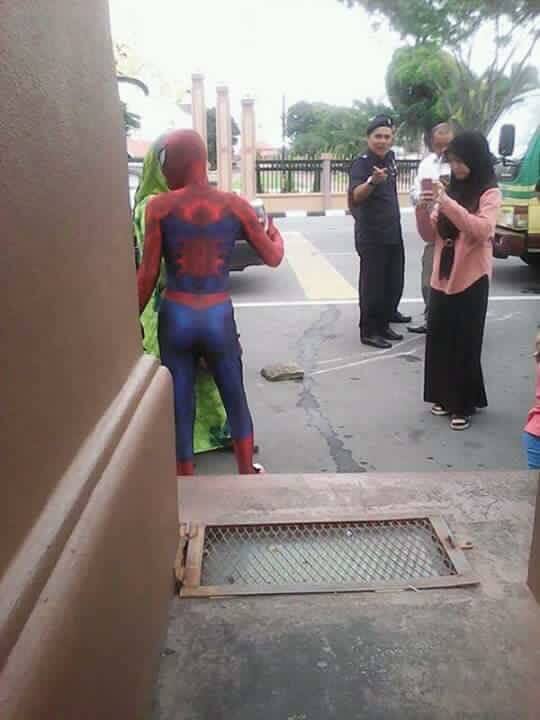 Home / deadpool / fooddrink / foodie / funny / iron man / marvel / Marvel Comics / movie / news / spiderman / viral / Nasi lemak-selling Spider-Man is finally caught by authorities! 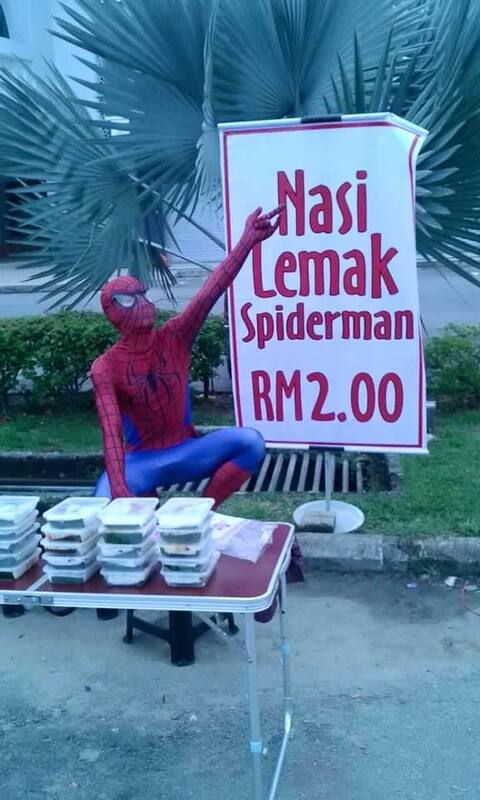 Nasi lemak-selling Spider-Man is finally caught by authorities! Oh no! 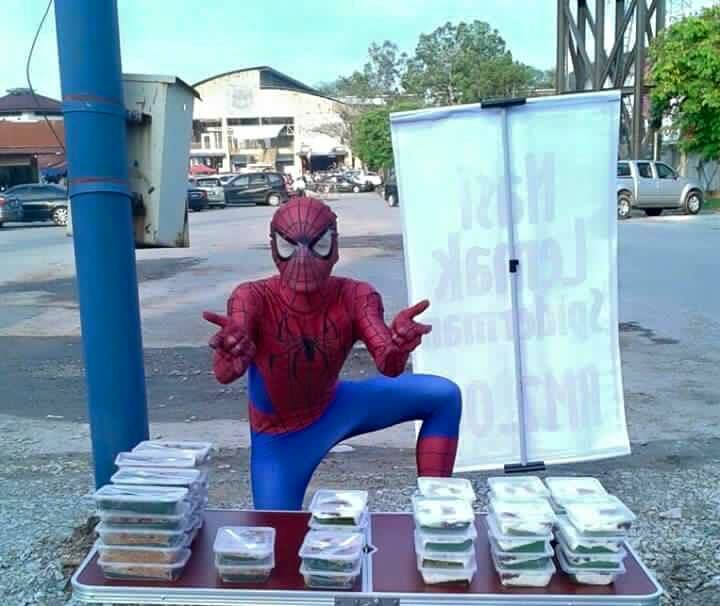 Malaysia’s very own Nasi Lemak-selling Spider-Man has apparently been caught by his ‘nemesis’, MPKB (Majlis Perbandaran Kota Bharu) a.k.a. the Kota Bharu Municipal Council. Zawawi Ghazali, 29, who has been getting a lot of social media attention after selling street food while cosplaying as Spider-Man – has had his stall towed away by MPKB today for selling food without a permit! The info and a corresponding photo was published on the University of Life’s Facebook page and it has been going viral on the internet, just like when this Spider-Man first started his business in his Spidey suit. Many internet users do not look at MPKB kindly, saying that there are still many vendors out there whom also have no permit, but have gotten away with it for years. Well, maybe since this Spidey has been gaining so much of popularity on social media sites with his pictures and location posted everywhere, maybe that’s how MPKB found him? He tried to hide, but he was not fast enough! Now, we wonder if Deadpool and Iron Man will be next? Can they defend themselves? Or will they be defeated as well? We’ll see!